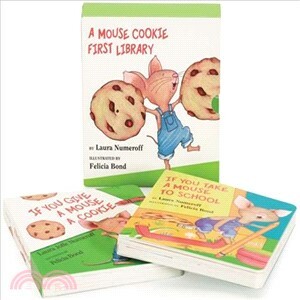 For the very first time, If You Give a Mouse a Cookie and If You Take a Mouse to School are available in board book form in this package. In the circle story If You Give a Mouse a Cookie, a little mouse runs a small boy ragged as he demands one thing after another when the boy offers him a cookie. The same boy and mouse are back in If You Take a Mouse to School, where boy and mouse learn about science, math, reading, writing, skateboarding and basketball during their day at school.